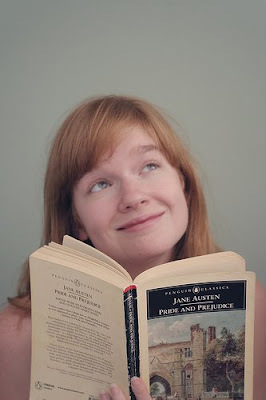 My first of many times reading “Pride & Prejudice” began on the airplane on the way to South Dakota, where seventeen year-old me was going to spend a year as an exchange student. Subsequently, I’ve read it again about once every two years. For my reading & reviewing series, I felt this book could not be left out, so I happily re-read it once more. Mrs. Bennett is fretting terribly; not yet one of her five daughters has married so far. A social and financial death sentence in the time of Jane Austen’s novels, and disastrous for the five Bennett girls as their male cousin is set to inherit everything in the future event of Mr. Bennett’s passing. With the arrival of Mr. Bingley and his party, however, there is the arrival of hope for the nervous Mrs. Bennett: Mr. Bingley equals money, and he has his eyes on the eldest Bennett daughter, Jane. Second eldest daughter Elizabeth (Lizzy) observes these social coupling rituals with cynicism and humor. But when Bingley’s friend Mr. Darcy (known to be one of the most handsome and wealthiest bachelors in the area) makes an appearance in everyone’s lives, she finds his pride and lack of social skills to be anything but amusing. Mr. Darcy at the same time is not exactly charmed by Elizabeth Bennett, either. There are so many points to address, but I have to keep it somewhat concise. P&P, I feel, is the ultimate love story (apart from maybe “Jane Eyre”) with a formula often borrowed by the romance novels of our time. By chick lit. An obvious example would be “Bridget Jones’s Diary”. While some are definitely funny, none have been able to outdo P&P. Austen’s characters are strong, developed, and flawed. Not flawed as in “clumsily tripping over her own feet while smiling adorably”, the type of endearing characteristic we as a society seem to like in our leading ladies these days. Austen’s Lizzy and Darcy are slightly more… intelligently introduced, their imperfections more human and challenging. Both Lizzy and Darcy have their own pride and prejudice regarding each other, leading to misunderstandings and broken hearts. Not all of P&P’s characters are as admirably developed though; I’ve always found Jane to be horribly dull and far too naive for someone who I’m sure is supposed to be a smart young woman. Lizzy on the other hand is rather feminist for her time. Of course ultimately, this is a book about romance, and love, but it’s on Lizzy’s terms. She will not give away her own happiness just like that. With a strong backbone reminiscent of Jane Austen’s own persona, Lizzy stands behind her principles in this book and refuses to please society because she "must". P&P thus offers a sort of insiders look into Austen’s time: the differences in class and the rules of society, and conflicts that may arise as a result of these social regulations. There are many obstacles to overcome when in search of happiness, and it is this what makes P&P a novel about love, as well as maturity, responsibility, growth and learning. A healthy dose of each. I would give this book a 10/5 if I could.